Just because we’re seeing back to school ads everywhere (I’ve even started writing about it! ), does not in any way mean summer is over. It also doesn’t mean it’s time to stop talking about on trend summer style. A fun summer trend I’ve seen and adore is floral. I’m talking floral anything. From floral dresses and jewelry to a flower or two in your hair. 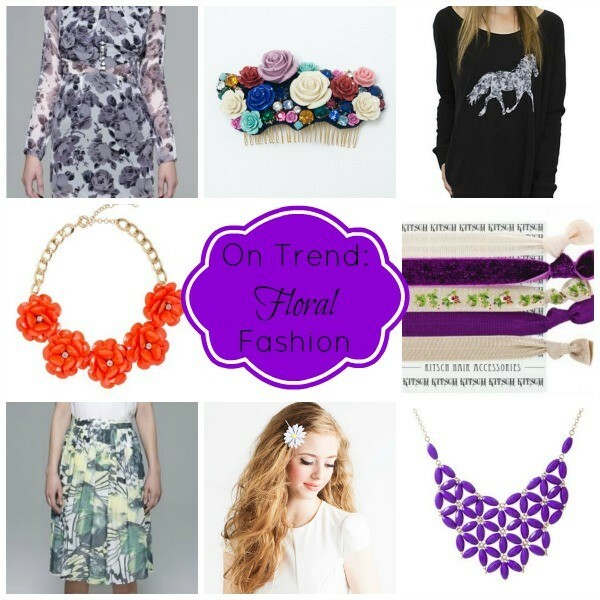 Take a look at these on trend floral fashion pieces. Some pieces would be considered a splurge, while others are more affordable. One thing they all have in common: they’re gorgeous! Previous articlePublishers Clearing House: What Would You Do with $5,000 a Week?